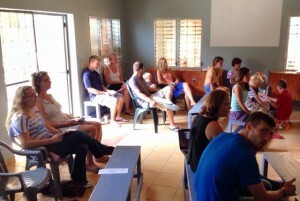 English Church for Team Honduras has grown into an amazing church-like worship service. Ten months ago Team Honduras welcomed Seth and Renee McLaughlin. 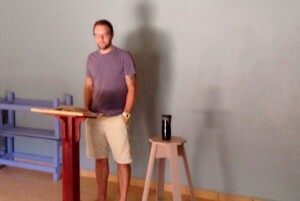 Seth is the first real live, ordained pastor (Teaching Elder for you PCA people) our team has ever had. Seth took over what used to be called Gringo Church and raised the quality and depth of worship. When Gringo Church started back in 2008 it was just our family of three worshiping together. As we added teammates it got bigger. For years we hosted Gringo Church in our home every week. Two years ago our team got too big to host Gringo Church in our home and we moved it to the dorms. At that point we also added kid’s Sunday school. It was a wonderful way for our team to worship in our heart language. Mike lead most of the studies over the years and the music has been done by a rotating cast of characters. Our team did a great job for a bunch of lay leaders. 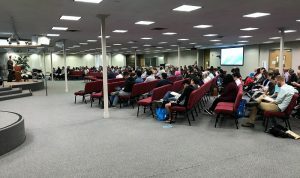 Today, the new and improved English Church feels like a real church service. The liturgy, responsive readings, catechism, and Seth’s preaching have all been a massive improvement from the past. Seth, being ordained, also allowed Team Honduras to add the Lord’s Super. 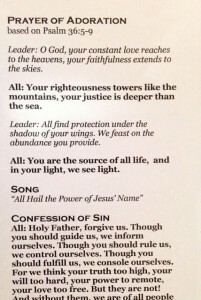 It is such a great blessing for our team to be able to worship like this. Gringo Church used to be good, but English Church is now so much more. Thank you God for this amazing weekly blessing.